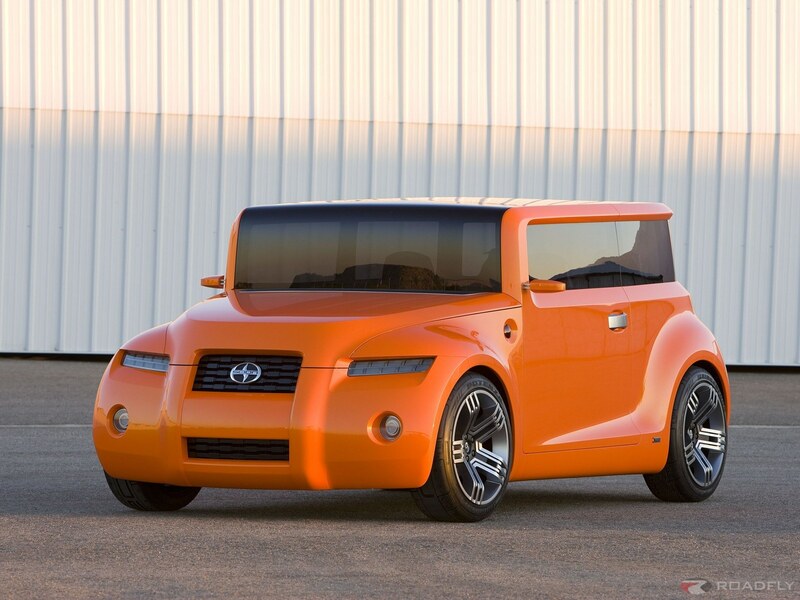 Scion unveiled its Hako Coupe Concept vehicle at a press conference at the 2008 New York International Auto Show. Scion’s Hako Coupe was developed by Tokyo Design Division, which studied global, youth-inspired trends. Japanese and American youth cultures often influence each other and are interpreted with a unique twist. The Hako Coupe Concept was inspired by the iconic xB and the emergence of American vintage style among young Tokyo trendsetters. Tokyo Design developed the Hako Coupe with classic American coupes in mind. The car’s geometric profile conveys a powerful stance in a compact and bold package. Its trapezoidal LED headlights lie parallel with a large and aggressive, rectangular upper grille. The lower rectangular grille anchors the front fascia and continues to communicate the Hako’s aggressive attitude. Round fog lights, symmetrically placed high on the front bumper, have integrated turn signals. The Hako’s silhouette is accentuated by slim, race-car-inspired side mirrors that also feature integrated turn signals. Powerful, flared fenders add dimension and contrast to the concept’s boxy shape and smooth surface planes. 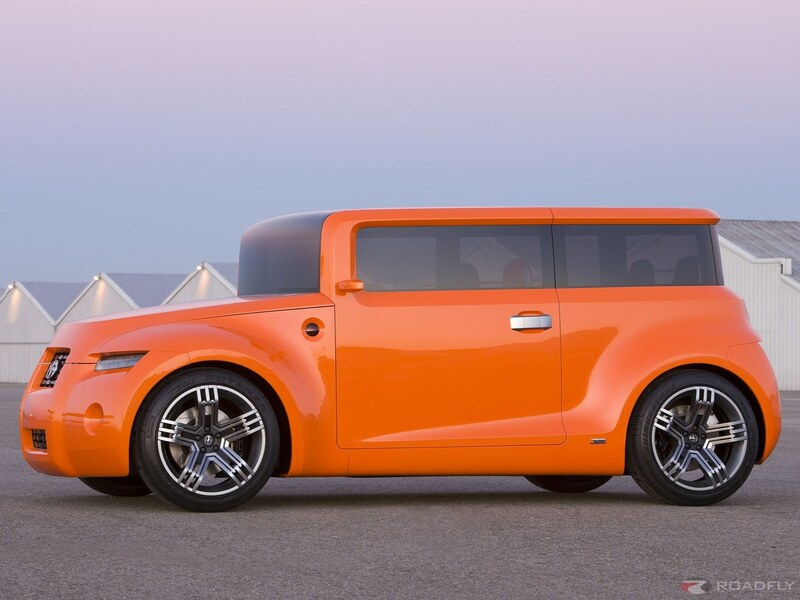 The Hako concept hugs the road with custom 18-inch deep dish five-spoke wheels and tires with a “Scion” custom tread. 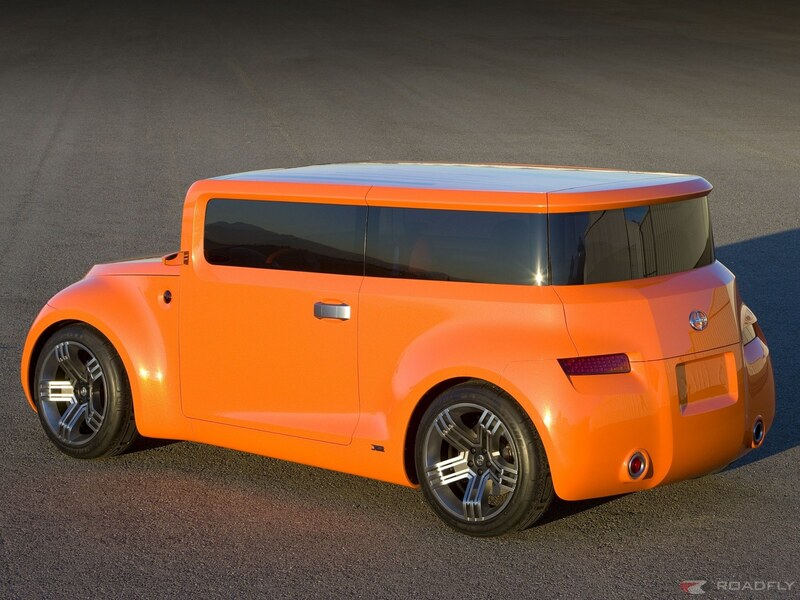 The Hako Coupe features a vertical windshield as the concept sits upright and ready to attack the road. A high linear beltline along with a blackened and chopped greenhouse seamlessly wrap around the rear to provide a mysterious profile. As an example of potential personalization, the concept is equipped with a flat, panorama roof that features a random, barcode-like pattern that can be seen on the exterior and from the interior. The rear features LED taillights that echo the shape of the headlights. To complete the package, the rear bumper has an integrated fog and back up light on the left and exhaust on the right. Inside, the Hako is accented with orange and metallic detailing that exudes a modern environment with entertainment possibilities. The front and rear seats are covered with urethane and rubber-like upholstery for easy cleaning. The contemporary front bucket seats flow to the floor and incorporate a geometric design on the seatback. The seats are separated by a center console that features a large storage crevice for storing magazines, cell phones, and other small items. Two cockpit-like rear seats also share a storage crevice. The orange driver’s seat has a gaming theme. Instrumentation and warning lights cascade from the art inspired instrument panel to the steering wheel. The shifter, located on the center console, resembles a large joystick. On the steering wheel is a simple button to start the engine and a track-ball type control for the Hako’s entertainment system located on the passenger dash. The entertainment system consists of two video monitor screens mounted on the dash for radio, video, and music capabilities. Users can upload their videos and music through a Bluetooth® connection. The front passenger controls the system using a large rollerball mounted on the center of the dash. A black seat differentiates the front passenger area. Video monitors located on each door and on each side of the rear seating area project distorted fish-eye images from orange filtered cameras mounted beneath the A-pillars. While the vehicle is parked the driver and passenger can edit the scenes captured by the cameras to show their friends where they have been and perhaps even post the clip online for others to see.